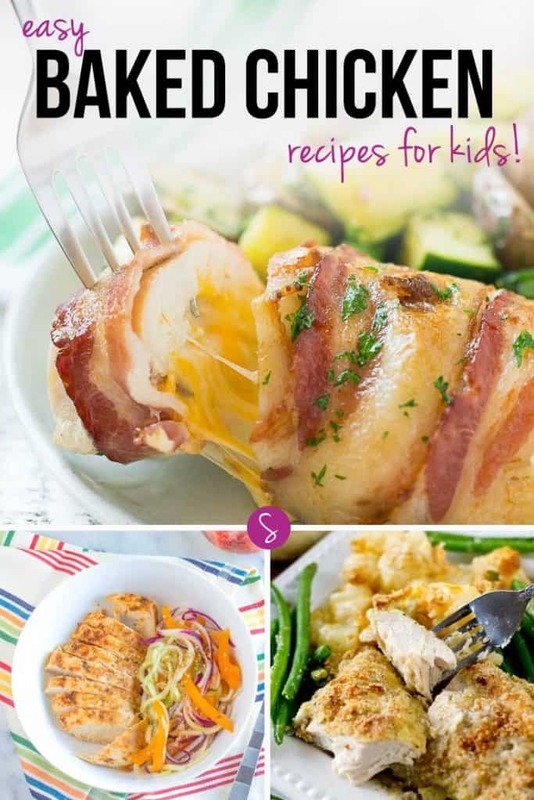 Easy Baked Chicken Recipes for Kids and Adults to Enjoy! Home > Recipes + Food > Easy Family Dinner Ideas > Easy Baked Chicken Recipes for Kids and Adults to Enjoy Together! 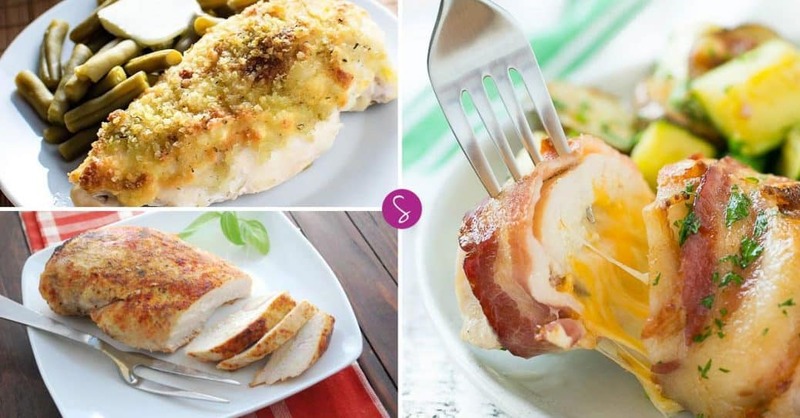 These easy baked chicken recipes are perfect for kids and make great quick and easy dinners for when you’re too busy to spend hours in the kitchen! When you’re trying to come up with a meal plan for the week ahead and looking for easy recipes for kids, chicken usually springs to mind as the perfect ingredient. I always end up just baking it in the oven and then serving it up with some potatoes and vegetables, which seems a bit boring. So this week I’ve decided to round up some yummy looking easy baked chicken recipes for kids to make our chicken dinners a little more exciting! Miss E is going through a phase of wanting ‘dip’ on everything. It doesn’t actually matter what the dip is as long as she can go through the motions of dipping her food into it before she eats it. 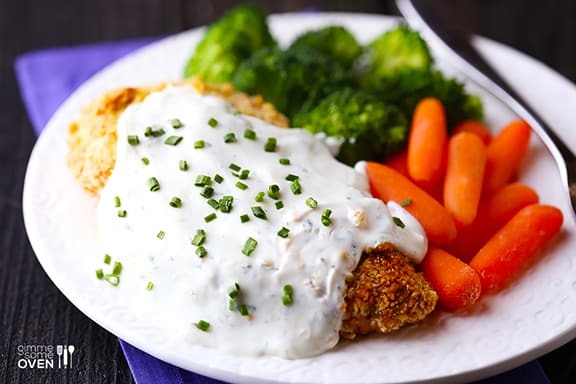 That’s why this recipe jumped out at me, because what small person could refuse a piece of crispy chicken smothered in ranch dressing? And the best part of it is they won’t even realise how healthy it is! 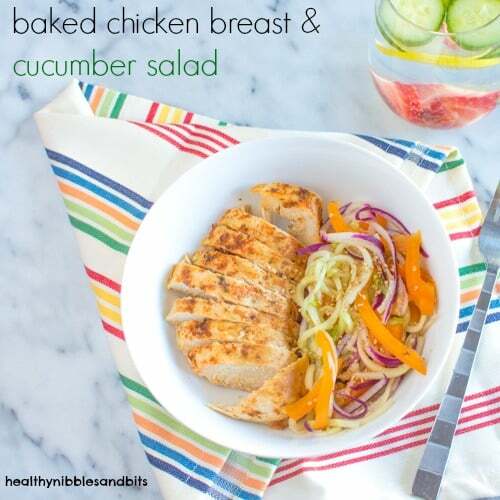 If you’re looking for a baked chicken breast recipe that’s perfect for a hot summer’s evening then look no further than this recipe right here. It’s a 30 minute dinner so it’s perfect for those weekday evenings when you don’t have a lot of time to cook, and the kids are going to be really interested in those lemon cucumbers. Yep, you read that right, if you’ve never heard of a lemon cucumber before you’ll need to click through and see what it’s all about! 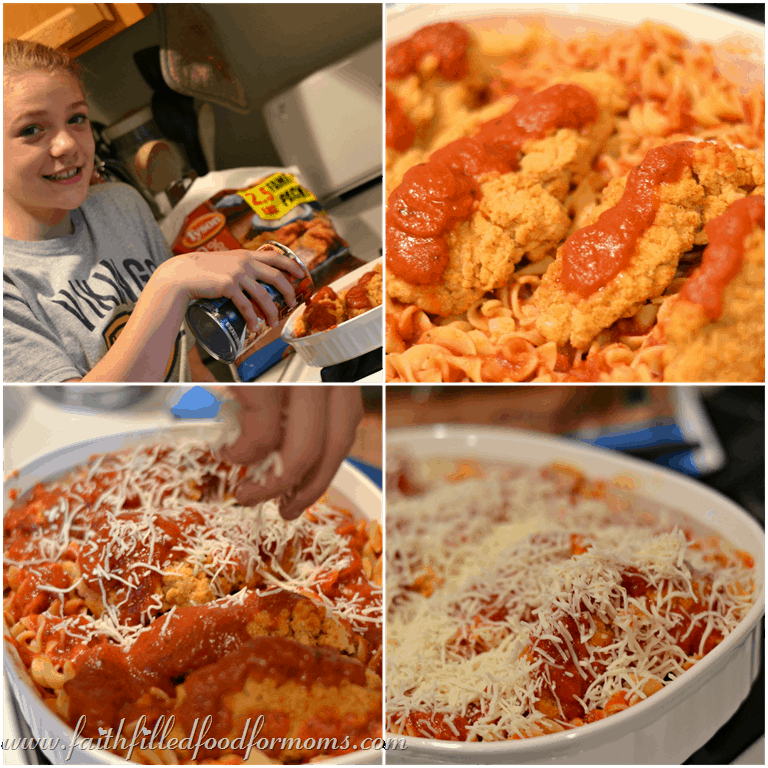 If your kids are keen to help you make dinner then don’t miss this wonderful Chicken Parmesan recipe. If you’ve got time you could bake the chicken breasts to use, or you could just cheat and buy some from the store to save time! Previous PostPrevious 10 Recipes That Will Change the Way You Look at Leftover BBQ Chicken!